How amazing would it be if we could use our own cells to transport cancer therapies to their target and avoid unwanted side effects? Well, soon we may be using red blood cells for just that purpose. The French company Erytech is approaching late-stage trials with its red blood cell technology after raising €122M in one of the largest IPOs in European biotech last year. Erytech is now one of the first in line to launch the first cancer therapy using red blood cells. We talked to the CEO, Gil Beyen, to find out how the technology works and what it could mean for the treatment of severe forms of cancer. Red blood cells are naturally distributed through the human body. By encapsulating drugs within them, they can become powerful carriers that help bring any cancer drug to their specific destination without being destroyed. Erytech’s most advanced program focuses on using red blood cells to deliver asparaginase — an enzyme treatment that depletes the amino acid asparagine from the bloodstream to starve the tumor cells that, unlike healthy cells, cannot produce their own asparagine. “In ALL, asparaginase has shown that, if the patient can tolerate it, it can bring pediatric long-term survival to more than 90-95%,” says Gil Beyen, CEO of Erytech. But as Beyen points out, not everyone can tolerate the treatment. Asparaginase is prescribed to children with acute lymphoblastic leukemia (ALL) but not to adults, because they often can’t handle they high toxicity of the treatment. By encapsulating it within red blood cells, Erytech can significantly reduce this toxicity. It also helps protect the enzyme and make it stay longer in the body, thus reducing the number of injections needed. “Usually, native asparaginase needs 8 injections per month. We can go to two,” explains Beyen. Last year, a successful Phase 3 trial showed that Erytech’s red blood cells brought 65% of ALL patients into complete remission — as opposed to 39% who were given asparaginase alone — and reduced toxicity in the liver and the pancreas. Erytech is now waiting for EMA approval on its first red blood cell treatment for ALL after withdrawing its first application when the regulatory agency requested additional data. “We expect feedback from the CHMP by the end of this year,” says Beyen. Although Erytech focused initially on blood cancer, a failed trial in acute myeloid leukemia (AML) has led the company to restructure its strategy. “This was a big disappointment at the end of last year, after having had all these good results in ALL and pancreatic cancer,” says Beyen, who believes the negative outcome may have been due to the advanced age and poor condition of the patients, rather than to the treatment being ineffective. But Erytech did get quite promising results last year in a Phase 2b trial in pancreatic cancer — one of the deadliest forms of cancer as it spreads quickly and is likely to recur. In that trial, Erytech’s red blood cell treatment showed it could reduce the risk of death by 43%. Erytech will also be launching a Phase 2 study in triple-negative breast cancer and another trial in a yet secret solid tumor indication. As one can easily guess, Erytech is not the only one pursuing the idea of using red blood cells to boost drug delivery. In the US, for example, Rubius Therapeutics is developing a similar technology that uses donor stem cells to produce the red blood cells carriers. Founded just in 2013, the company has managed to raise $220M (€185M) to start clinical trials soon. Unlike Erytech, which introduces the drug within mature red blood cells by opening its natural pores, Rubius does so by genetically engineering stem cells that then are differentiated in to red blood cells. “Rubius does on-demand production for a specific patient from stem cells. Which is a great idea, and will be important to watch as it develops over time,” says Beyen. As founder of TiGenix — which is being acquired by Takeda — Beyen is acquainted with stem cell technology and believes a possible shortcoming of Rubius could be that creating these genetically-modified red cells might be expensive. 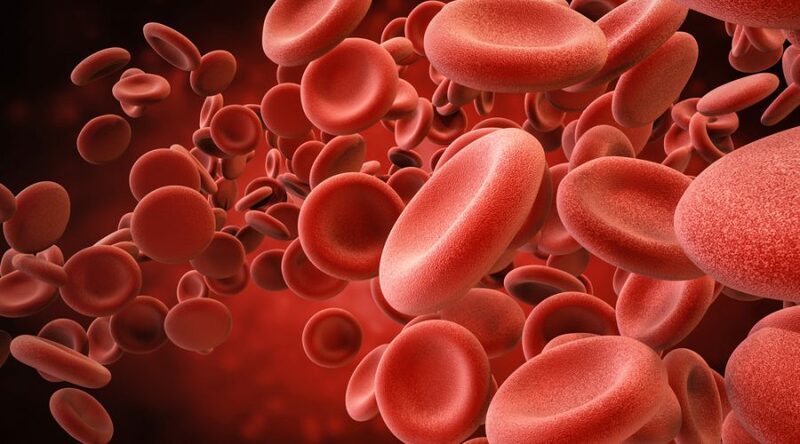 Another player in the field is EryDel, an Italian biotech that recently raised €26.5M to complete Phase III trial with its red blood cell technology in a rare genetic disorder. EryDel uses an autologous approach where the red blood cells are derived from the own patient, which could help reduce the risk of unwanted immune responses. Despite the possible competition from these companies, the fact that there are several players pursuing this technology can actually be great news for Erytech, validating the potential of its approach. When will red blood cell therapy be here? With Erytech awaiting a decision from the EMA, the first red blood cell therapy could be in the market within a year. It’s been a long journey for Erytech since its foundation in 2004, which despite the withdrawal of its first submission to the EMA managed to close an IPO on the Nasdaq Global Market that raised $144M (€122M) — one of the largest seen in a European biotech company. With its pipeline being the most advanced in the field of red blood cell therapy, an approval upcoming and potential to treat some of the most severe forms of cancer, Erytech seems in a good position to take the lead in a new field offering hope in cancer.